Many people struggle with emotion control. This is evidenced by confusion of the person during intense emotional bouts. “Why do I feel this way, I don’t know what to do, and “I can’t help myself” are all expressions uttered by people whose emotions of anxiety, fear or anger seem to override their rational thought pattern to act in a productive manner. Whether the person experiences anxiety she knows is out of line with reality or is simply known around the office as having a “short fuse” control of these emotions can be mastered. We often look to our emotions as a gauge for morality. People will express that they feel that what they are doing is right. This happens a lot in religion when people base their worship and life practices on their feelings. However, Hosea 4:6 says, “My people are destroyed for lack of knowledge.” So, as we look to what we should do religiously, good leadership would base its practices on scripture, not the feelings of its people. The people of Sodom and Gomorrah I’m sure felt good about their actions too even though they were dreadfully wrong. So, as we progress through our daily lives, what should we do? Certainly our feelings are important but what would happen if we always listened to them? There would be a lot more physical fights and verbal altercations since no one would stop themselves and choose a more appropriate plan of action. We must listen to our intellect and not allow our emotions to rule our lives. Think of the Incredible Hulk. He would fly into a rage every time he felt scared or angry. Thankfully Bruce Banner learns to control the monstrous beast inside of him and uses it as a tool for good. We must do the same. First, think of anger as a fog. It clouds your head, leaving the solution just beyond our grasp and you with few resources to consider an appropriate next move. We must recognize when we are getting angry or even anxious/nervous can apply here too. When we see that our emotions are entering a state wherein our ability to think rationally is greatly diminished, we must do less, not more. Depending on the severity of your emotional spike, you must calm down. You will not find the answer to whatever is angering you because your head is clouded with emotion. Breathe deeply and calm down. Next, search for the answer. Just because your head is clouded, it does not mean that what you need to do is completely out of reach. Talk to someone you trust or leave the situation completely until you have the answer and are confident with your decision. Third, problem-solve. Your anger (fight) or anxiety (flee) is not the response you want to have in most situations. I say most because even Jesus went berserk on some people in the temple (Matthew 21). We lose control of our emotions because we want something to be different than it is. Think about what it is you want and focus on that. Yelling, screaming or crying are not good problem solving methods. Finally, work to strengthen the skill of cognitive restructuring. In other words, consider how you think about anger and anxiety because nothing “makes” you angry. You choose how you react in almost every situation. Simply considering that in stressful moments can keep you from “losing it.” To practice this, awaken a negative emotion inside of you. Do this at a neutral time when you can concentrate. Then, begin searching through the “fog” for the answer you intellectually know you should pursue. When you find it, hang on to it and allow it to grow until you feel better. There are two wolves inside each of us. One represents anger and the other represents wisdom. Which will win? The one you feed. Our emotions can run away from us sometimes, but we don’t need to let them rule us. “We are destroying speculations and every lofty thing raised up against the knowledge of God, and we are taking every thought captive to the obedience of Christ . . . .” (2 Corinthians 10:5) Take your thoughts captive. Don’t let them rule you. Previous Article Disney’s Frozen & Emotion Control?? 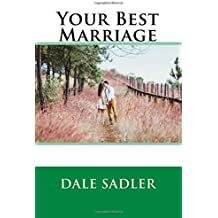 I stuffed my anger for many years in our marriage. In recent years both my husband and I have gone through a lot of emotional healing and we are in such a better place. I realized that my fear of expressing my anger came from childhood when my mother would punish me for doing so. I subconsciously feared that my husband would do the same. In my emotional “growing up” I have learned the truth, that my voice matters and what I am feeling matters. My husband has been full of grace. We are glad we are where we are now!